You can get trained online or through other avenues. The Office for Institutional Equity and Diversity currently offers online versions of selected workshops. Additional modules are being developed. If your unit, organization, or class wants to learn more about equal opportunity issues, our staff can facilitate a custom course or workshop tailored to meet your needs. Your specific needs and goals will determine program content and design. In addition to the workshops we offer, other diversity programs are offered by other campus organizations. Human Resources, the Center for Student Leadership, Ethics and Public Service and other campus groups sponsor numerous programs and activities of interest that relate to equal opportunity and diversity issues. Some courses from these groups are offered through OIED’s Equal Opportunity Institute; however, there are additional offerings from these groups for which you may contact them directly. 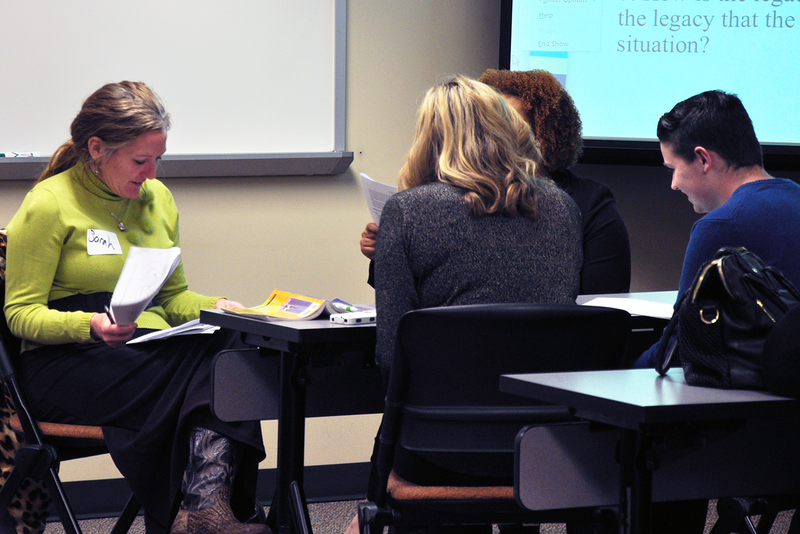 Human Resources courses are open to NC State employees only. Employees may register through eLearning in MyPack Portal. See HR Learning and Organizational Development for more information. The Center for Student Leadership, Ethics and Public Service offers courses that are open to all NC State students and employees, including the Leadership Development Series. To register and for course details and additional offerings, see the Center for Student Leadership, Ethics and Public Service. The Global Training Initiative is certified by Berlitz as Cultural Orientations Approach (COA) Corporate Practitioners. They have a range of standard and custom cross-cultural training workshops for professionals and students. For more information, see Global Training Initiative.